Updated August 15, 2017 – Negotiators for Chivas Brothers and its largest labor union will resume contract talks today after workers at the company’s Kilmalid blending and bottling plant in Dumbarton, Scotland, called off a planned strike that was to begin yesterday. Unite regional coordinating officer Gordon Casey confirmed the move in a telephone conversation with WhiskyCast’s Mark Gillespie, and said the decision had been made late Friday morning. The resumption of talks follows a 24-hour series of walkouts last Monday and the union’s refusal of all overtime work in recent weeks. Casey declined a recorded interview, saying that the union wanted to remain low-key pending the resumption of talks. Chivas Brothers also confirmed the move in a statement released Monday via email. “We can confirm that industrial action by union members at our Kilmalid site has been suspended. Having maintained an open dialogue throughout this process, we have a further meeting scheduled this week and hope to reach an agreement. Kilmalid’s workers are the only ones who have rejected two proposed contract offers from the company. The workers have been fighting for a harmonization in pay between sites since 2006, and blame the Pernod Ricard-owned company for what they describe as wage disparities of up to £900 ($1,169 USD) this year between workers at Kilmalid and those holding the same pay grade at the nearby Paisley bottling and blending plant. 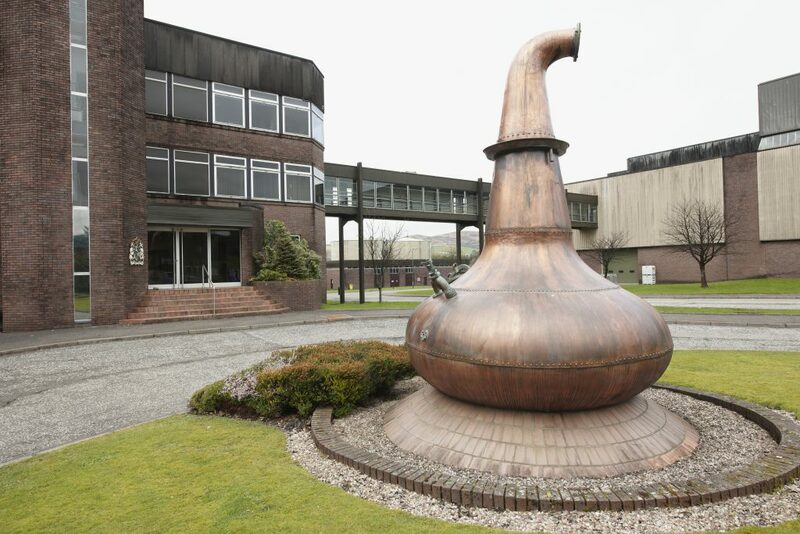 Chivas Brothers announced plans earlier this year to close the Paisley site by 2019 and transfer its workers to expanded facilities at Kilmalid. After Monday’s walkouts, a company spokesperson acknowledged to the Daily Record that there are slight differences in basic pay rates between sites, but that part of the difference is based on staggered review dates that exaggerate the disparities. Chivas CEO Laurent Lacassagne reiterated that position in a statement issued after the walkouts, but confirmed the company’s intent to harmonize pay scales starting in January. “It is not the case that we told employees in 2006 that we would harmonise pay across the Paisley and Kilmalid sites. We did commit to harmonising a number of benefits, and did so in 2007. “With regards to the current pay harmonisation proposal, it was Chivas Brothers who actively proposed this between Kilmalid and Paisley for the first time late last year and we have committed to bringing forward the harmonisation of pay rates to January 2018. “The figure quoted regarding the difference in pay between our Paisley and Kilmalid sites is entirely inaccurate. Our Kilmalid and Paisley sites have different salary review dates meaning there are periods in the year where pay differences are exaggerated. While there is a slight difference across sites in terms of basic pay, as previously stated, we have already agreed to bring forward the harmonisation of pay to January 2018. Unite members at Paisley have already ratified a new contract with the company that will guarantee them positions at Kilmalid after their site closes in 2019. Editor’s note: This story was updated to include a statement from Chivas Brothers.